The federal Appalachian Regional Commission is now accepting applications for the POWER Workforce and Economic Revitalization Grant Program. Applications are due April 10. 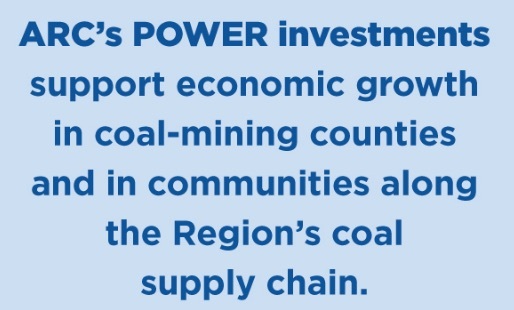 This program targets federal resources to help communities and regions that have been affected by job losses in coal mining, coal power plant operations, and coal-related supply chain industries due to the changing economics of America's energy production. -- Strengthening substance abuse response. -- Public or private nonprofit organizations or associations. Before submitting a funding proposal, potential applicants must contact the appropriate ARC state program manager for specific guidance pertaining to the eligible use of POWER funds in their state.